1. Budget methodically: Create a budget allocation worksheet for every show. Use it as a task-management checklist. If you don’t have a template, get one from your exhibit house. 2. Set objectives: One sure-fire approach is to align trade show goals with existing corporate goals. Make sure your objectives are SMART (specific, measurable, attainable, realistic and timely). Limit the number of goals to narrow your focus and improve chances for success. 3. Streamline logistics: Add hours to your day with logistics and inventory management software (check out www.ExhibitForce.com). 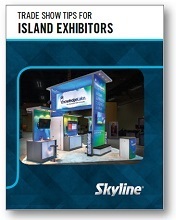 Some exhibit companies provide this tool to customers for free. 4. Facilitate selling: Work closely with the sales team to find out what’s needed for in-booth appointments. A private meeting area? A photocopier? A laptop with appointment-scheduling software? Ship any necessary documents (e.g. contracts) and carry a thumb drive as backup. 5. Design simply: Your exhibit should boldly and clearly communicate who you are, what you sell and why prospects should buy from you. The keys to attracting traffic and creating a lasting impression are to use eye-catching images and short, compelling messages. 6. Use lightweight materials: Everyone knows large, heavy items are costly to ship. This is also true for your trade show exhibit. If you’re still shipping a heavy dinosaur of an exhibit, calculate annual drayage, shipping and storage costs. These costs are slashed by switching to lighter, modular materials and fabrics that pack into fewer, lighter crates. Apply savings to additional shows or directly to the bottom line. 7. Go modular: Custom modular booths create a multifunctional pool of inventory that can be reconfigured into multiple shapes and sizes. One booth can service many industries, divisions, product lines and footprints. 8. 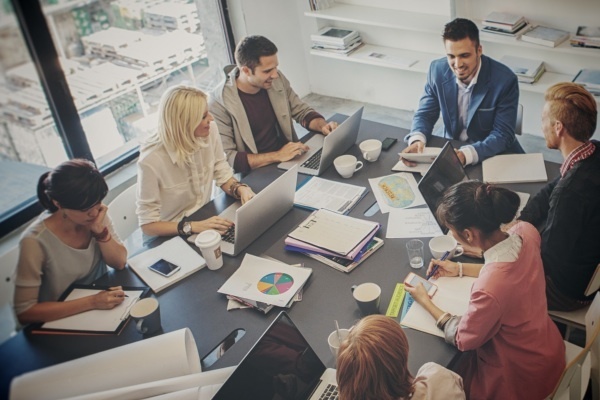 Leverage social media: Social media websites like Twitter, WordPress, Facebook and LinkedIn offer unbelievable potential to drive qualified booth attendance. Start small – but start. 9. Design a standard lead form: A short, simple survey is all you need to prequalify leads. The trick is to apply the same survey across the board. Standard questions enable the ability to merge and sort data, analyze statistics and draw conclusions. 10. Manage lead distribution: Determine where the “leads list” will be stored, how and to whom leads will be distributed, and how they will be actioned. With only 21 percent of trade show inquiries actually pursued, chances are your competitors are NOT following up – which is your golden opportunity. 11. Self-reflect: What are you doing right and wrong at trade shows? Write down the top five things you do well and the five things you most need to improve. Think back to the moments of frustration and insight you had during the course of the year and turn those insights into a plan. 12. Huddle every morning: An hour before the show, quarterback the pre-show staff meeting. Be highly detailed; set realistic goals for the day. Review key messages and talking points. Institute a competition to reward staffers for the most leads collected (qualified leads, that is). Collect cell phones and store them safely. 13. Huddle every afternoon: After the show, spend 10 minutes debriefing. Distribute hot leads. See what worked well (or poorly) during the day. Announce the lead collection winner. Identify necessary adjustments for the next day. 14. Ensure timely follow-up: If you collect e-mail addresses, use Web-based tools like Constant Contact or Exact Target to send thank you notes right from the show floor. While personal contact by a salesperson is mandatory, be a brand ambassador and close the loop quickly. 16. Measure performance: Many metrics can be measured: Media coverage, brand awareness, competitive activity. What’s paramount, however, is filling the sales pipeline with qualified leads, of which a percentage will convert into revenue. Obsess over results. Adjust where you can. If you don’t have a written trade show plan, develop one now (get help if necessary). Lead management doesn’t have to be complicated or costly, and the rewards can be monumental.